This particular Ernest and I had a good conversation on the merits of digital cameras and websites. 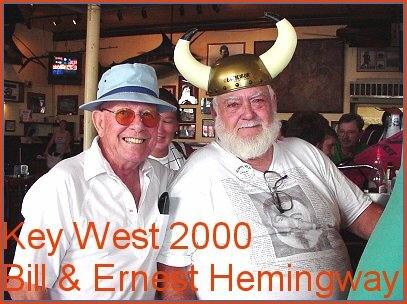 He is a former winner of the Ernest Hemingway LOOK-A-LIKE Contest and is now a judge every year! He had to judge and choose the best "PAPA" from 118 wannabes!